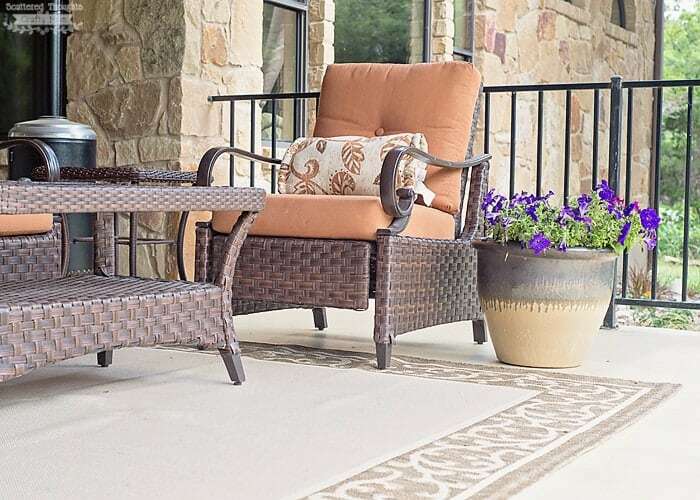 The arrival of warm weather means it’s time to start sprucing up our outdoor spaces. 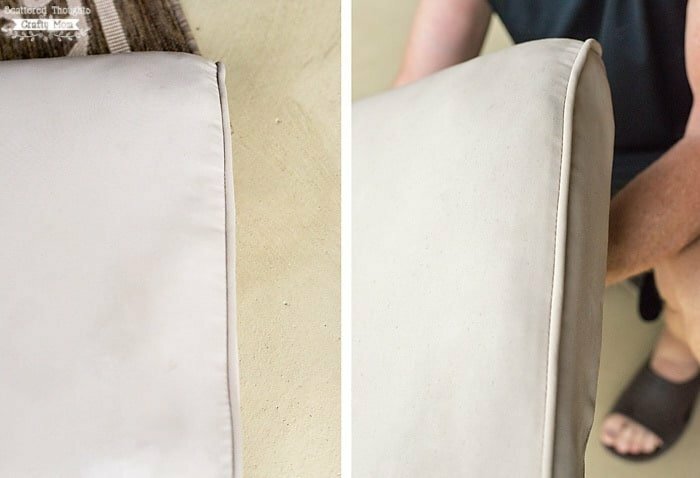 This post, How To Clean Outdoor Upholstered Furniture, will help you get your space spruced up in no time! We’ve also been planting flowers, pulling weeds, trimming limbs and getting everything back into tip-top shape. 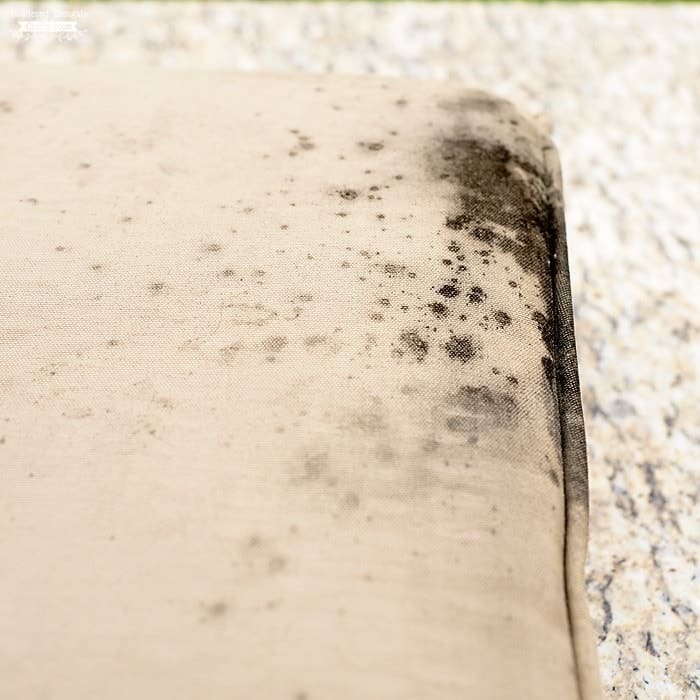 One of the only things left to work on is attempting to remove some of the stains that have magically appeared on the furniture cushions since last year. The other stain is definitely more of a mystery. No one will fess up, but I have my theories. I think a certain someone spilled juice or milk on their chair and didn’t bother letting anyone know so it could be cleaned properly. I didn’t notice this stain for a couple of months, it’s so dark and set-in, I wasn’t sure I would be able to get it out. Can you believe that stain came out? My secret weapon for stains?? OxiClean™ Versatile Stain Remover! Always test in an inconspicuous spot and allow to dry before using. 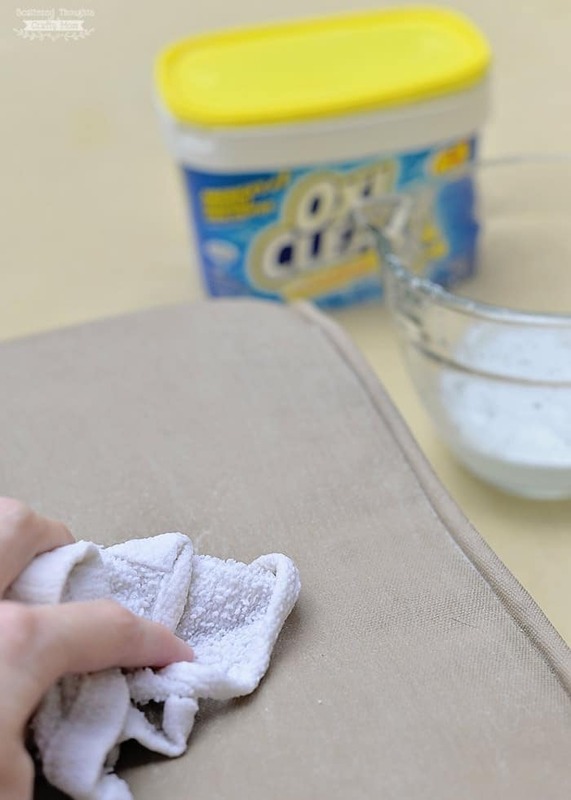 Add a scoop (fill to line 1) of OxiClean™ Versatile Stain Remover to 16 oz warm water and mix well. Blot stain with clean towel, repeating this process 2 to 3 times. Apply to stain and let sit for 30 minutes. Do not let dry. After the solution has sat on stain- wet the towel and start scrubbing. Rinse and repeat until the stain is gone. (Make sure to rinse thoroughly when satisfied with stain removal. I repeated this process about 3 times to get my results! Our back patio is really looking great! Disclosure: This post was sponsored by OxiClean through their partnership with POPSUGAR Select. While I was compensated to write a post about their Versatile Stain Remover, all opinions are my own. « DIY Strawberry Kiwi Green Tea Recipe + Me Time! I have heard great things about Oxy Clean and this just confirms it. The furniture is saved! Hooray for Oxy Clean. My Mom used to bring her cushions in every night. It helped keep them from getting as dirty but what a pain. Your cushions look great, nice and bright and clean! What? You got that out? I’m absolutely floored! That’s obviously something I need to add to my arsenal now. Your patio looks beautiful! And those cushions got amazingly clean! 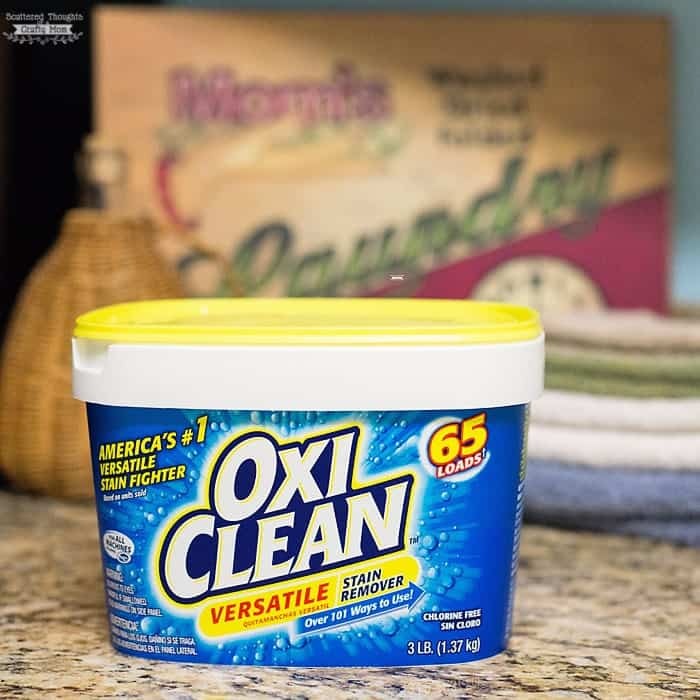 I have heard great things about Oxiclean but have never tried it! This definitely makes me want to try it. 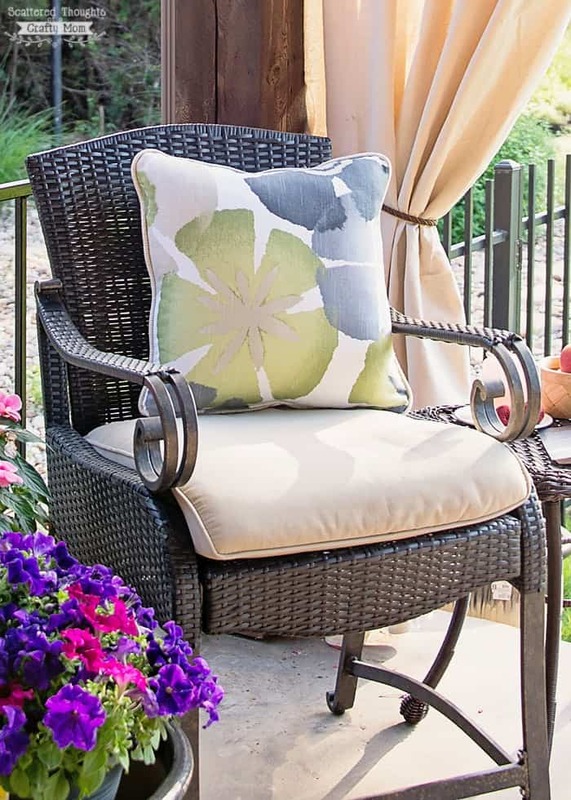 I’ve always avoided cushioned outdoor furniture because I assumed it’d be difficult to clean. This gives me hope for buying the set I’ve been admiring from afar. Wow, what a difference! 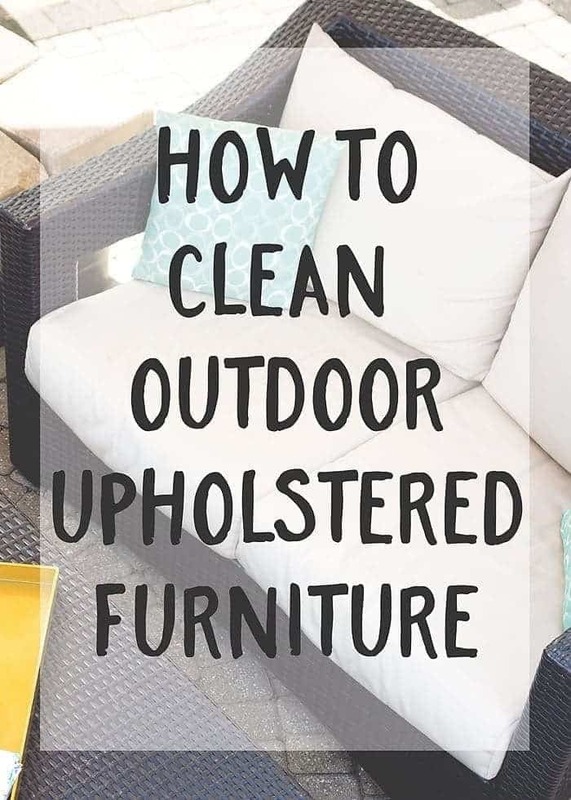 My mom has a huge patio and several pieces of upholstered furniture, so I’ll share your cleaning tips with her. You have a really beautiful patio! I have a question in regard to cushions. Is it possible to dye them. Mine are not spotted but terribly faded. Have you ever heard of just spraying on dye to resolve this problem?